Perhaps no place says ‘Welcome to Tokyo’ quite like Shibuya with its world-famous crossing, countless restaurants, shops for every conceivable desire, and an unrivaled night scene. Shibuya ward is located in central western Tokyo and, like all wards in Tokyo, is divided into a number of smaller districts. To the top north of Shibuya ward are the residential areas of Yoyogi and Sendagaya. 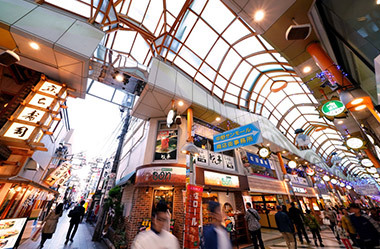 Given their proximity to the station you would be forgiven for assuming these areas were part of Shinjuku; in fact, Shinjuku station itself lies across the border of both wards. Toward the center of Shibuya is Jingumae (famous for the areas of Harajuku and Omotesando), central Shibuya, and an upscale residential area called Shoto. Moving further south are the districts of Daikanyama, Ebisu, and Hiroo which are also known for their fashionable and upmarket image. Finally, in the far west of the ward and accessible by the Keio Line lies Hatagaya, which is considered one of the more affordable areas of Shibuya. The price of an apartment will vary depending on its features, the age of the building, and distance from the train station. Keeping this in mind, the average rent for an apartment in Shibuya is approximately ¥3,898 per square meter (¥362/ft²). Apartment prices on Apts.jp are color-coded to make it easy to see if the rent is above or below market value. For more information on apartment sizes and layouts, you can read our Japanese Apartment Size Guide. You can look no further than Shibuya for all your shopping needs, the area surrounding Shibuya station itself contains more options than many other areas of Tokyo. Containing more eateries than you could visit in a year, you’ll never be low on dinner choices, and the dozens of major department stores scattered around the area cater to even the most specific of tastes. Shibuya is also infamous for its bar and clubbing scene, with Halloween and New Year’s Eve seeing hordes of people come together to party the night away. If your idea of entertainment is a few cold ones with friends, then you will love Ebisu. Known for its standing bars, vibrant food alleys, and cozy restaurants, the area was named after Yebisu beer with the original factory still standing to this day. 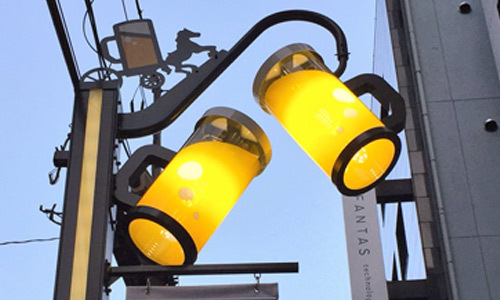 At the other end of Shibuya ward, you’ll find Daikanyama, a trendy and popular area for high-end shopping and dining. 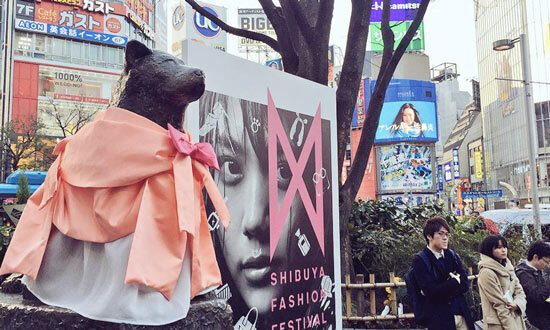 When living in Shibuya you may wish to get away from the crowded streets once in a while, particularly if you are commuting via Shibuya station – the second busiest train station in the world! 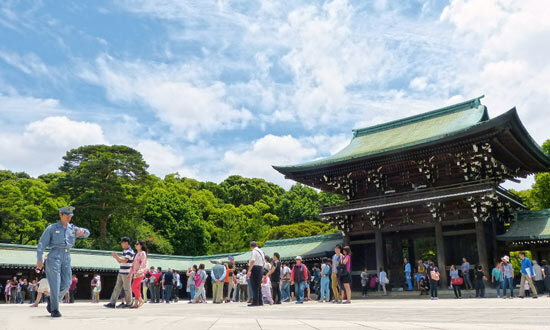 At times like these, Yoyogi Park and Meiji Jingu are perfect spots for relaxation and quiet contemplation. For those of you who enjoy sitting back and watching a good movie, Shibuya contains a number of cinemas, including the famous Toho Cinema. If you’re a gym junkie you’ll have no problem finding a place to work out in Shibuya. You’ll have your choice of popular chains such as Anytime Fitness, Gold’s Gym, and Konami Sports Club; as well as smaller boutique gyms, personal training services, and yoga studios. Although there are many green spaces dotted throughout Shibuya, by far the most popular (and impressive) is Yoyogi Park. Stretching across 134 acres of land, the park boasts over 600 cherry blossom trees, calming ponds and fountains, and footpaths buzzing with joggers and dog walkers. If you enjoy exercising in a group setting, make sure to search online to find free and cheap fitness classes regularly held at the park. There are a few private English speaking clinics in Shibuya, but most reassuring is the Japan Red Cross Medical Center, a fully equipped modern hospital with English speaking staff. Although not every doctor and member of staff is capable of speaking English, they can arrange assistance if needed. With specialists in a large variety of medical fields, and running one of the most popular maternity wards in Tokyo, the Japan Red Cross Medical Center is known for its high level of care. However, please note that waiting times can be quite long without a reservation or letter of recommendation from another doctor. If you’re looking for a general practitioner, The King Clinic, near Meiji-Jingumae (Harajuku) Station, offers great care and comes highly recommended. Please check the map for other English-speaking clinics in Shibuya. 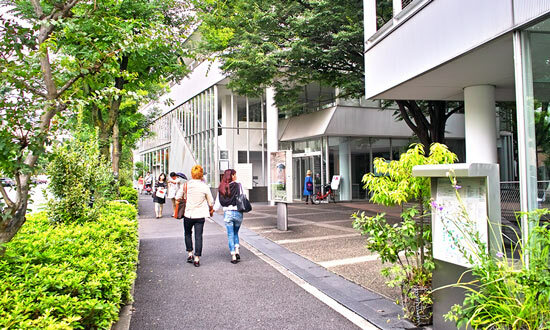 Shibuya is a hub of international schools and offers a large number from which to choose, including the British School in Tokyo’s Shibuya Campus, and the International School of the Sacred Heart. Please check the above map for more international schools located in the area. There are a handful of international Supermarkets situated in and very close to Shibuya, with the majority being Kaldi Coffee Farm or Seijoishi (成城石井) stores. Meidi-ya supermarket also sells foods from all over the world, and the store in Hiroo even offers English speaking services. Gyomu-Super, a wholesale supermarket aimed at businesses, is also known to sell imported goods and Halal products. Want to move to Shibuya? Let us find your new home.